With the approach of festivities, and a chill in the air outdoors, our thoughts at this time of year often turn to the less fortunate. Many of us open our checkbook or volunteer at a soup kitchen—fine ways to do a good turn. In Los Angeles, a group of budding builders have hit upon another way to help one down-and-out segment in particular: the homeless. This fall, some architectural students rolled up their sleeves to design and build creative temporary shelters on a limited budget, using pallets, plywood panels, truck camper shells, and other found materials. And that was just the start. 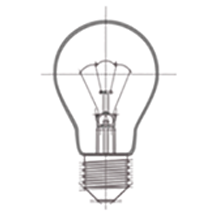 Moreover, their experience proved that innovation doesn’t always mean leveraging the latest technology. Sometimes it means relying on human ingenuity and making the most of what you’ve got. An estimated 47,000 people are now homeless in Los Angeles County. Shelters are full, with waiting lists up to two years long. The crisis motivated a new collaboration between the University of Southern California School of Architecture and Madworkshop, an architectural education nonprofit. The result is USC’s Homeless Studio, a hands-on course that wrapped up its inaugural semester last week. In it, eleven fourth-year students didn’t just meet with homeless residents, activists, architects and city officials to gain perspective on the complex problem; they also drew up plans, scavenged for scrap wood, swung hammers, and produced their own real-world shelters. The course featured three distinct phases. In the first, the students had two weeks to design and fabricate five mobile and expandable sleeping quarters, with a total budget of $500. The structures aimed to fulfill basic needs: security, privacy, shelter from the elements, and portability. Construction of tomorrow inspired by insects? We think of termites as agents of destruction. Here in North America, the little buggers chew through untreated wood and give homeowners headaches. But in the Southern Hemisphere, colonies of termites—each less than a centimeter long—collaborate to build complex mud mounds rising up to 25 feet high. To a few Harvard scientists, these massive mound projects begged the question: Could the same principles be applied to robotic builders? Justin Werfel, Radhika Nagpal, and Kirstin Petersen form a joint team from Harvard University’s Wyss Institute for Biologically Inspired Engineering and School of Engineering and Applied Sciences. Their ongoing research is so far most notable for the Termes experiment, in which small, simple robots worked independently to build proportionally large structures, without a human or even a smart computer coordinating their efforts—at least, not in the way we might think of it. The experiment made waves after the journal Science published the results in February 2014. Since then, the Harvard researchers have been traveling to Namibia to learn more about the termites that inspired the project. Werfel, who has also authored a book chapter on the ecology of Fraggle Rock (remember the Doozers? ), walked us through the Termes project. The Termes system was realized both in computer simulations and in a physical lab setting. “In the simulations, you’ve got dozens of robots building enormous skyscrapers flawlessly,” said Werfel. In the latter—i.e., the hardware—came the true test. Built by Petersen, the three Termes robots measure about seven inches long and 4.3 inches wide. Each is equipped with infrared and ultrasound sensors, a clawed arm capable of lifting in the manner of a front-loader, and a kind of tail to aid in carrying cargo. As with termite workers, no one Termes robot has a special skill or role. Each is capable of the same few simple tasks—walking and climbing, picking things up and putting them down. The bots’ building materials are interlocking foam blocks, shaped somewhat like electric beer coasters—the kind that flash and hum when your table is ready at the steakhouse. The blocks fasten together magnetically, so the robots don’t have to be precise when stacking them. They’re also notched at the edges, aiding the robots in gaining a foothold as they climb up or walk across them. Werfel’s team fed the robots the design plan for a structure, such as a staircase or a pyramid—which are, not coincidentally, well suited to the robots’ climbing ability. The bots were also coded with a set of “traffic laws” to avoid crashes. So will giant Termes-style autonomous robots build high-rise hospitals or luxury condo towers in the middle of dense cities with no supervision? Not likely in our lifetimes. However, we might well see such robots in action during a flood, piling sandbags to build emergency levees. Or in another disaster scenario, Werfel suggested, the robots could enter an area struck by an earthquake to shore up a shaky building. “You don’t want to send in people because the building could actually collapse while you’re trying to reinforce it,” he said. After all, the robots are expendable, while people aren’t. In the more distant future, Werfel envisions similar robots being used to build Martian homes or deep-sea research stations in advance of human explorers’ arrival, or in other situations when it could be considered highly impractical or prohibitively dangerous to employ us flesh-and-blood types. Paradoxically, if such high-tech facilities can be erected without the loss of a single human life or limb, we’ll have the lowly termite to thank for the inspiration. 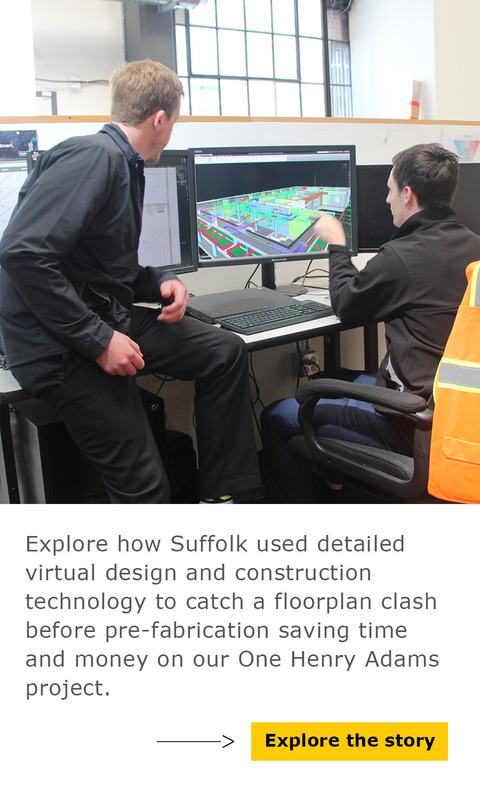 This post was a collaboration between Suffolk Construction’s Content Writer Patrick L. Kennedy and former Suffolk Construction Marketing Intern Jen Howard. If you have questions, Patrick can be reached at PKennedy@suffolk.com. You can connect with him on LinkedIn here or follow him on Twitter at @PK_Build_Smart. You can also connect with Jen on LinkedIn here. The contest awards architects with the biggest and boldest imaginations, recognizing “outstanding ideas that redefine skyscraper design [using] novel technologies, materials, programs, aesthetics, and spatial organizations,” according to the entry guidelines. Check out some of last year’s winners below. Even if none of these structures ever end up being built, the renderings provoke thought about what a skyscraper could be, and perhaps some elements of these far-out designs will be incorporated into the tall towers of tomorrow. Sustainable Skyscraper Enclosure, by Soomin Kim and Seo-Hyun Oh. (Honorable mention in 2016) The design repurposes an existing skyscraper, encasing it in a climate adjusted zone and installing an “energy purifying system” that captures solar energy and harvests rainwater. Vertical Shanghai, by Yuta Sano and Eric Nakajima. (Honorable mention in 2016) It may look like a pile of houses that tumbled out of a toy chest, but the architects designed this structure as a homey, diverse antidote to the waves of plain high-rises wrought by China’s rapid urbanization. This one deserves a second look—see the sectional rendering below. Any contractor care to bid on the project? This post was written by Suffolk Construction’s Content Writer Patrick L. Kennedy. If you have questions, Patrick can be reached at PKennedy@suffolk.com. You can also connect with him on LinkedIn here or follow him on Twitter at @PK_Build_Smart. As work begins on the expansion of Suffolk Construction’s headquarters—which was celebrated with a high-tech virtual groundbreaking—we explore the ancient roots, and some colorful examples, of the groundbreaking tradition. Like knocking on wood, crossing your heart, or crossing the street to avoid a black cat (particularly around Halloween), there are some rituals—rooted in antiquity, maybe in prehistory—that most of us carry on to this day, whether or not we consider ourselves superstitious. So it is with the time-honored tradition of the construction-site groundbreaking ceremony. Just as a shipbuilder wouldn’t launch a craft without first smashing a champagne bottle on its prow, a developer might feel amiss were a structure to rise without a gathering of dignitaries and a plunging of shovels into earth at some early stage of the project. In a few cases, dynamite, sledgehammers, airplanes, or green smoke have been used to liven up the proceedings, as you’ll see below. The precise origins of the groundbreaking—better known in previous decades as the “sod turning” or “turning the first spadeful of earth”—are obscured by the mists of time, but the ritual exists in nearly all cultures the globe over. In some ancient traditions, breaking the ground was considered an act painful to the earth, requiring a sacrifice to compensate. To take one gruesome example, centuries ago the Tlingit people of Alaska would kill slaves and bury them under the corner post of a new longhouse. Less horrifying religious rites persist to this day. In India, homebuilders ask permission from Bhoomi (Mother Earth) before disturbing her. To restore equilibrium to the site, an elaborate series of rituals includes burying a box containing gold, silver, coriander seeds, a whole betel nut, and a stick of turmeric, among other items carrying significance. In the same way, Japanese builders placate the local kami, or god of the land, and pray for the safety of the construction workers with a Shinto purification rite, known as a jichinsai. A priest marks off a sacred space with four bamboo poles and sets up an altar with offerings of food and sake, or rice wine, which is poured on the four corners of the construction site. Wooden tools are then used to break ground. An altar used during a Shinto rite to purify a construction site. In the 1960s, a city assemblyman charged that this spectacle, at the site of a public gymnasium, violated the nation’s constitution (which, like ours, provides for the separation of church and state). The case went all the way to Japan’s supreme court, which found that the civic ceremony did not promote or subsidize the Shinto religion. In Western nations, too, it’s been common in modern times for developers to invite priests or other clergy to offer a prayer or otherwise take part in a groundbreaking, despite our generally secular public life. As in Japan, old customs die hard. Besides, a little blessing can’t hurt! And maybe builders should be a bit superstitious. The Panama Canal was initially, in the 1880s, a French undertaking. Count Ferdinand de Lesseps, in our terms the project executive, attempted a bicoastal ceremony: He turned the first sod on the Atlantic end of the planned canal, then traveled by train and boat to the Pacific end. But stormy seas—or too much champagne, according to one account—prevented de Lesseps from landing. He scheduled another ceremony, in which exploding dynamite would kick off the project, but the charge fizzled. So did the project. That first canal effort ended in failure; the Americans later picked up where the French had left off. In Boston in the 1970s, the Lewis Wharf condo development began with a “water-breaking,” in which a huge anchor was lifted from the harbor, and one hotel owner let his 20-month-old granddaughter commence a project with a “sand-turning” in a sandbox. For ceremonies in California, skydivers have floated to earth bearing golden shovels, and “a two-story replica of a personal computer emerged from the ground in a high-tech industrial park,” according to the L.A. Times. The mayor of Brea once started a project with a backhoe; the machine lurched wildly, scattering the assemblage. How far has the ritual come since the days of human sacrifice, or even green smoke? Pretty far, to judge by the virtual groundbreaking at Suffolk’s headquarters expansion (left). Boston Mayor Marty Walsh joined Suffolk executives in donning virtual-reality headsets and scooping dirt that existed only in a 3D video-game-style environment—visible to those wearing the goggles, and projected as well on a large screen for the benefit of the audience. With each shovelful of pixelated earth, a 3D model of the building-to-be would rise from the ground in stages, as if by magic. As far as we know, this is the first time a virtual groundbreaking has been done. Can anyone tell us different? Or offer your own unusual or innovative takes on the ceremony? Let’s hear your comments! Some day, humans will live on Mars. That’s the vision of some of today’s highest-profile forward-thinkers. This week, in an op-ed for CNN, President Barack Obama wrote that he hopes America will send humans safely to Mars and back by the 2030s. And late last month, SpaceX founder Elon Musk announced plans to colonize Mars within the next 50 to 100 years, with the help of the most powerful rocket ever, sending up a reusable spaceship that could carry a hundred humans at a time to the Red Planet. But once the expat Earthlings land, what kind of structures will they live in? Scientists are working on myriad answers to that question (among others). One major obstacle to homebuilding on Mars is the limited capacity of any realistic spacecraft to carry all the materials needed to erect substantial, durable habitats. Ideally, the pioneers would use local materials, just as early European settlers in North America chopped down pines to build log cabins. With no forests on Mars, what can 21st-century space settlers use? So when NASA held its 3D-Printed Habitat Challenge last fall, one team of designers tapped H20 as its substance of choice to fabricate homes. Team Space Exploration Architecture (SEArch) and Clouds AO topped 165 entrants with their design, Ice House. The design takes a page from Alaska’s Inuit people, who for centuries have built temporary shelters out of snow during hunting expeditions. Envisioning a settlement in Mars’ northern climes, the NASA competition winners proposed that frozen water be harvested from the subsurface and run through a massive 3D printer to craft a sleek shell of ice that would cover the astronauts’ lander (which would serve as the living quarters), sealing it in a pressurized, habitable environment. Then another, still larger ice shell would be created to cover the first, not unlike a Russian nesting doll. The multi-layered setup is designed for redundancy—you’d probably feel safer with a backup shell, wouldn’t you?—but the general purpose of the ice shell is to give the colonists a kind of artificial yard: they could obtain a feeling of being outdoors without having to suit up and venture out into the planet’s harsh environment. That’s because the translucent outer ice shell, while repelling cosmic rays, would let in sunlight, something vital to the colonists’ food garden, not to mention their sanity. And with temps in the region (Alba Mons) consistently below freezing, the shell would stand year-round without melting.